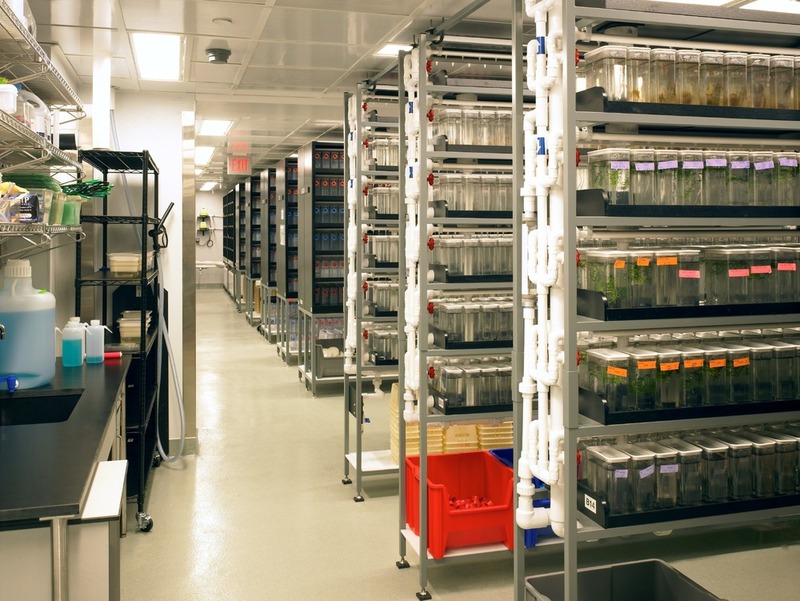 Harvard Zebrafish Facility | Cambridge, MA — Hecht and Associates Architects, Inc.
New 6,000 SF zebrafish facility including holding rooms for 10,000 fish tanks, procedure rooms, and fish sleep rooms. Facility includes new dedicated air handling and RO water systems. Work also included construction of temporary fish holding facilities and new offices for relocated building occupants.